"We solve it" was the slogan of BaumannWohlenberg for this year's drupa, and the fair was a great success. 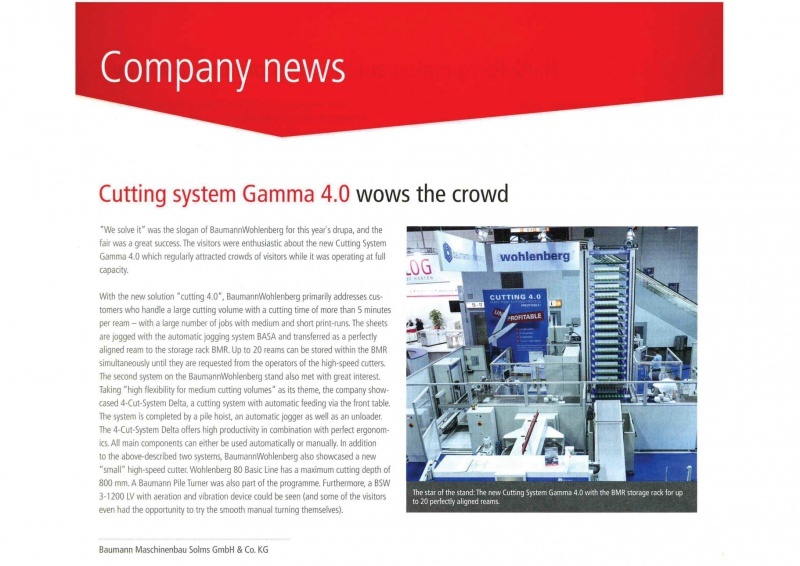 The visitors were enthusiastic about the new Cutting System Gamma 4.0, which regularly attracted crowds of visitors while it was operating at full capacity. 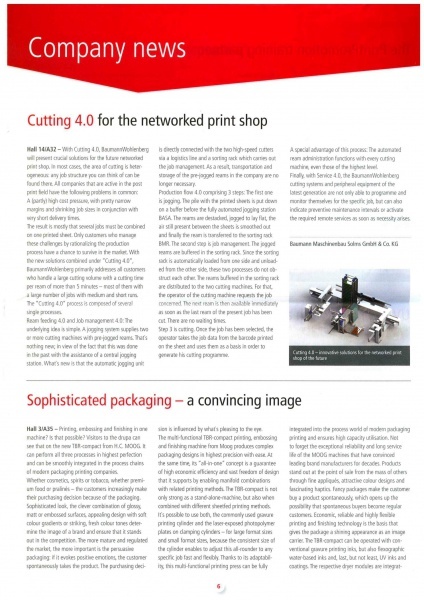 With Cutting 4.0, BaumannWohlenberg will present crucial solutions for the future networked print shop. In most cases, the area of cutting is heterogeneous: any job structure you can think of can be found there. 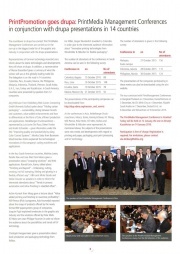 The countdown to drupa has started: The PrintMedia Management Conferences are carried out in the run-up to the biggest trade fair of the graphic arts industry in conjunction with the drupa presentations. Kromer AG in Lenzburg / Switzerland combines the total production, finishing as well as logistics operations of the Kromer Group at one location, i. e. in Lenzburg. 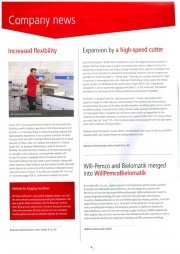 The company has invested in a Cutting System N° 2 of Baumann-Wohlenberg, in order to increase its flexibility. All central functional modules can be used automatically or manually so that production can be perfectly matched with the job.